Downtown Montego Bay, Sandals Royal. 1 to 4 person $20US one way, 5 persons or more $5.00US each. Riu Montego Bay, Coyaba, Ironshore Residental Area. 1 to 4 person $20US one way, 5 persons or more $5US each. Ritz Corlton, Spring Farms, Hilton Rose Hall. 1 to 4 person $35US one way, 5 persons or more $9US each. Iberostar, Round Hill. 1 to 4 person $40US one way, 5 persons or more $10US each. 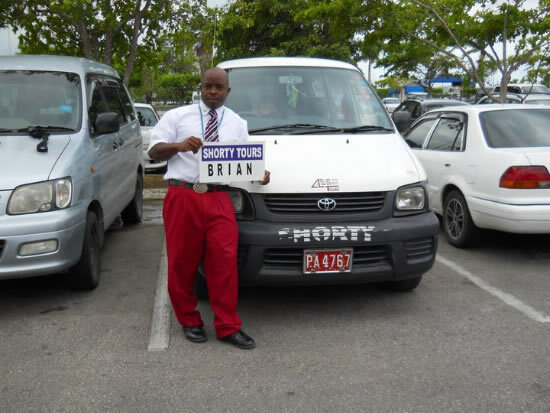 Tryall 1 to 4 person$60US one way, 5 persons or more $12US each. Grand Palladium, Lucea. 1 to 4 person $60US one way, 5 persons or more $15US each. Green Island. 1 to 4 person $80US one way, 5 persons or more $20US each. Negril, Hotel. 1 to 4 person $100US one way, 5 persons or more $25US each. Whitehouse Sandals. 1 to 4 person $110US one way 5 persons or more $27 each.